Beer Noggin in Bronxville has a District96 Beer Factory Pop-up event at 7pm! DeCicco & Sons in Armonk has a Beer, Baseball, & Mikkeller San Diego! event at 5pm! Growler & Gill in Nanuet has a 21st Amendment Tasting 6pm – 9pm! Hops Brewhouse in Pine Bush has an Adirondack, Butternuts, Chatham & 1911 Cider Tasting 4pm – 6pm! DeCicco & Sons in Larchmont has a Meet The Brewer: Equilibrium at 5pm! DeCicco & Sons in Brewster has a Spring Cleaning Tap Event at 5pm! The Ruck in Troy has a The Return of Dogfish Head Night! : ACBW Day 5 12pm – 2pm! Colonie Beverage in Albany has a Adirondack Brewery Tasting at 3pm! Pine Island Brewing Company has their Beer Garden Re-Opening Party at 11am! Captain Lawrence Brewing in Elmsford has a CLBC Beer Dinner: Newburgh Brewing Co. 6:30pm – 10pm! Yard House in West Nyack has a Stone Tap Takeover at 6pm! The Helm in Greenwood Lake has a Equilibrium Tap Takeover at 6pm! 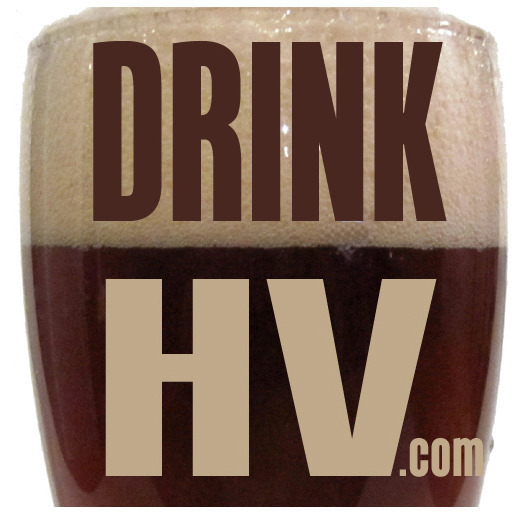 Beer Noggin in Bronxville has a Hudson Valley Brewery Pop Up event at 7pm! The Oath Craft Beer Sanctuary in Tarrytown has a Rogue Ales – IPA May Tapping at 7pm! Westmere Beverage in Albany has a Free Ballast Point Tasting at 4pm! Rare Form Brewing Company in Troy has a 3 Year Anniversary Party & Can Release 1pm – 11pm! Brothers Fish & Chips in Ossining has a Fish & cider night at 4pm! The Tilted Kilt Pub and Eatery in Poughkeepsie has a Von Trap Tap Takeover and Trivia Night 6pm – 9pm! Brickhouse in Nyack has a Oskar Blues Can’d Aid Tap Takeover at 11pm! DeCicco & Sons in Brewster has a DeCicco’s Tours: Maine (Breweries) Tap Takeover at 5pm! Beer Noggin in Bronxville has a Holy $hit it’s Holy Mountain event at 7pm! Growler & Gill in Nanuet host the Lower Hudson Valley Craft Beer Festival 12pm – 8pm! The KOI Creative Space in White Plains hosts The Business of Beer Series | Feat. Harpoon Brewery 6pm – 8pm! Clock Tower Grill in Brewster has a Kent Falls Beer Dinner at 7pm! Stormville Airport’s 1st Annual Food Truck and Craft Beer Festival is from 11am – 6pm! The Anchor in Kingston has a 21st Amendment Tap Takeover at 7pm! Bad Seed Cider Co. in Highland hosts the Sausage & Cider Festival 1pm – 5pm! The Beer, Bourbon & Bacon Festival is in Rhinebeck at 2pm! Brewery Ommegang in Cooperstown has their Belgium Comes to Cooperstown event!